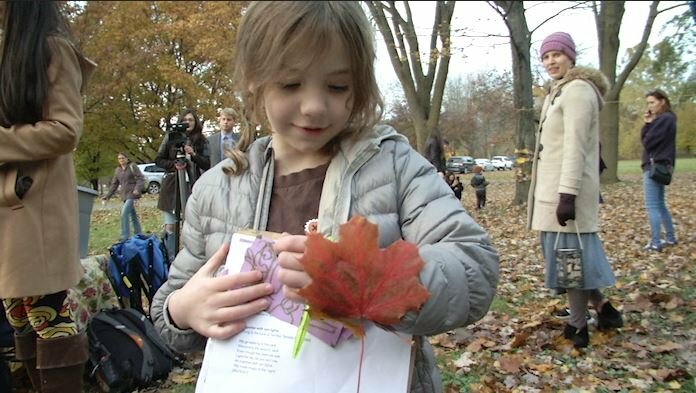 Tinkergarten hosted a community lantern walk at Otsiningo Park on Sunday with the goal of showing kids young and old that just because the clocks are falling back doesn't mean that they still can't have fun and enjoy the outdoors. With a generation that is so accustomed to video games, tablets, and cell phones it is not as often we see kids outside, playing and enjoying the weather. Deanna Saunders, a Tinkergarten leader said " "we think its really important to get kids out in nature and really enjoy their experiences outside so as it gets colder and darker that can feel more difficult so we want families to see that there's more fun to be had outside and that's how kids learn is by being and exploring outside"
At the event, kids were able to make nature bands, their own lanterns and run around playing games with other children. The event ran from 4:30 until 6 on Sunday.